Fibrant Archives · Stop the Cap! AT&T has introduced 23 new communities and adjacent service areas in North Carolina, Georgia, Florida, Illinois, Texas, and Tennessee to the possibility of getting gigabit broadband speeds, if customers are willing to wait for AT&T to reach their home or small business. Illinois: Bolingbrook, Mundelein, Shorewood, Elmwood Park, Volo, and parts of Munster, Ind. AT&T claims its fiber to the home service will eventually reach more than 14 million customers across its service area, but adds it will only reach a fraction of them – one million – by the end of 2015. Most customers will have around a 7% chance of getting gigabit speeds from AT&T this year. In Salisbury, N.C., where Fibrant delivers community-owned broadband at speeds up to 10Gbps, AT&T gave space in its press release for Rep. Harry Warren, the local Republican member of the state House of Representatives, to praise the phone company. “I’m excited about this new development, and appreciate AT&T’s continued investment in Rowan County,” Warren said. Warren says he fought to protect Fibrant from a 2011 state law — drafted by the state’s largest phone and cable companies — that effectively outlawed community-owned broadband competition. But he, along with most of his Republican colleagues, also voted in favor of it. “That’s my biggest concern about it,” he said. Both AT&T and Time Warner Cable have been regular contributors to Warren’s campaigns since 2010. “I find it interesting that a bureaucrat that is not beholden to the people can make such a claim without going through Congress,” Brock said. The year Brock voted in favor of banning community broadband competition in North Carolina, he received $3,750 from telecom companies. This election cycle, Time Warner Cable is his second largest contributor. AT&T and CenturyLink also each donated $1,000 to Brock’s campaign fund. While AT&T is free to expand its gigabit U-verse upgrade as fast or as slow as it chooses, the community providers that delivered gigabit speeds well before AT&T are limited by state law from expanding service outside of their original service areas or city limits. In plain English, that effectively gives AT&T state-sanctioned authority to decide who will receive gigabit speeds and who will not. The FCC’s pre-emption, if upheld despite ongoing challenges from Republican lawmakers on the state and federal level, could allow Fibrant to join forces with other municipal providers in North Carolina to expand fiber broadband to new communities around the state. Salisbury’s community-owned fiber network has tripled its subscriber base in three years, signing up its 3,000th customer in the community of 33,000 and is already turning a profit. Fibrant, despite facing intense opposition from corporate-backed, conservative special interest groups with financial ties to its competitors and a state law passed at the behest of Time Warner Cable that limits its future growth opportunities, has proven very successful delivering improved Internet access to a community that received the back of Time Warner’s hand when it requested service upgrades. Salisbury invested $33 million to install more than 250 miles of fiber in and around the community and began hooking up customers to its all-fiber network in late 2010. By the following summer, 1,200 customers signed up. Today, Fibrant serves more than 3,000 homes in the community. WCNC-TV in Charlotte reports Fibrant is likely to break even this year after losing $4.1 million the year before — a loss Fibrant attributes to normal start-up costs faced by almost every new business. Dale Gibson has been thrilled to be a Fibrant customer since the beginning and is even happier now that Fibrant offers gigabit speeds. 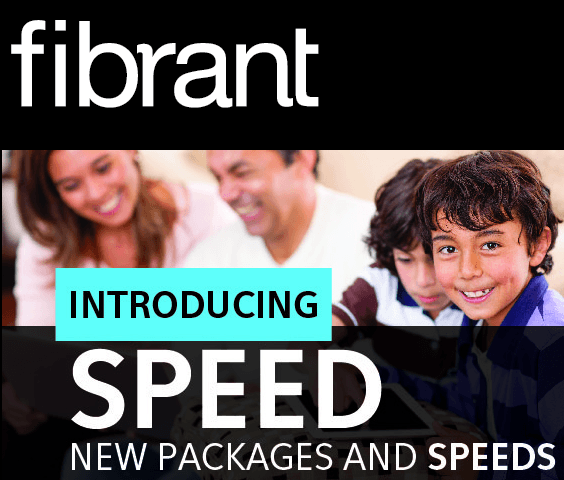 In 2013, Fibrant raised the speed of its entry-level broadband package to 20/20Mbps for no extra charge. In the coming week, Fibrant’s basic broadband customers will be getting another free upgrade to 50/50Mbps. 100/100Mbps customers get the best upgrade of all: 1,000/1,000Mbps service at no extra cost. Fibrant’s competitions cannot come close. AT&T U-verse still tops out at around 24Mbps in this part of North Carolina and caps its customers to 250GB of usage a month. Time Warner Cable’s best speed remains 50/5Mbps at a price higher than what Fibrant charges for 100/100Mbps. Fibrant has also improved its video packages, with new features like a whole house DVR, more channels, and more HD. Customers who don’t want networks shoveled at them can buy a basic cable TV package from Fibrant for $37 a month. Those who want more can upgrade to several different packages offering a maximum of over 450 TV channels and 50 music channels. Customers in nearby communities who want the kind of competition Fibrant delivers will have to wait a long time to get it. Time Warner Cable, with the support of the Republican state legislature, successfully introduced and eventually passed the cable company-drafted measure to essentially ban community broadband in the state. FCC chairman Thomas Wheeler promised to consider eliminating these state corporate protectionism laws, provoking a hostile response in the Republican-dominated House of Representatives. Rep. Marsha Blackburn, a Tennessee Republican with heavy backing from telecommunications giants AT&T and Comcast, introduced a measure for the benefit of large phone and cable companies that would override any effort by the FCC to increase competition by eliminating anti-competitive restrictions on public broadband. Republicans in the House responded anyway, passing her measure 223-200. Just two Democrats voted in favor. The bill is not expected to pass the Senate and would almost certainly face a presidential veto. New York Democrat Jose Serrano relished the ideological irony of House Republicans forced to twist their positions to accommodate AT&T. As community-owned providers in North Carolina found out, Big Telecom money often speaks louder than ideological consistency. A 2011 state law largely written by Time Warner Cable will likely keep Charlotte, N.C. waiting for fiber broadband that nearby Salisbury has had since 2010. North Carolina is dominated by Time Warner Cable, AT&T and CenturyLink. Google and AT&T recently expressed interest in bringing their fiber networks to the home in several cities in the state, but neither have put a shovel in the ground. Fibrant, a community owned broadband provider in Salisbury, northeast of Charlotte, not only laid 250 miles of fiber optics, it has been open for business since November 2010. It was just in time for the publicly owned venture, joining a growing number of community providers like Wilson’s Greenlight and Mooresville, Davidson and Cornelius’ MI-Connection. Time Warner Cable’s lobbyists spent several years pushing for legislation restricting the development of these new competitors and when Republicans took control of the General Assembly in 2011, they finally succeeded. Today, launching or expanding community broadband networks in North Carolina has been made nearly impossible by the law, modeled after a bill developed by the American Legislative Exchange Council (ALEC). With fiber fever gripping the state, Fibrant has gotten a lot of attention from Charlotte media because it provides the type of service other providers are only talking about. Fibrant offers residents cable television, phone, and broadband and competes directly with Time Warner Cable and AT&T. Although not the cheapest option in town, Fibrant is certainly the fastest and local residents are gradually taking their business to the community alternative. 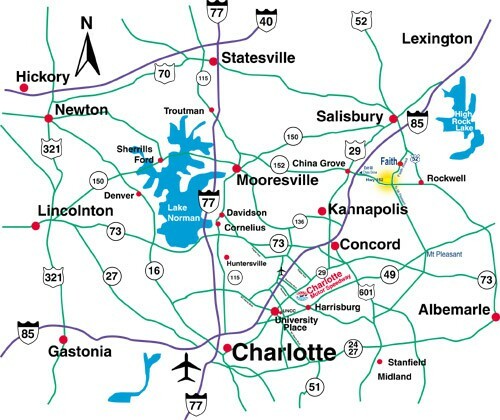 Charlotte, N.C. is surrounded by community providers like Fibrant in Salisbury and MI-Connection in the Mooresville area. Julianne Goodman cut cable’s cord, dropping Time Warner Cable TV service in favor of Netflix. To support her online streaming habit, she switched to Fibrant, which offers faster Internet speeds than the cable company. Commercial customers are also switching, predominately away from AT&T in favor of Fibrant. Fibrant offers synchronous broadband speeds, which mean the download and upload speeds are the same. Cable broadband technology always favors download speeds over upload, and Time Warner Cable’s fastest upstream speed remains stuck at 5Mbps in North Carolina. AT&T offers a mix of DSL and U-verse fiber to the neighborhood service in North Carolina. Maximum download speed for most customers is around 24Mbps. AT&T has made a vague commitment to increase those speeds, but customers report difficulty qualifying for upgrades. Time Warner Cable is a big player in the largest city in North Carolina, evident as soon as you spot the Time Warner Cable Arena on East Trade Street in downtown Charlotte. Taxpayer dollars are also funneled to the cable company. Time Warner Cable’s $82 million data center won the company a $2.9 million Job Development Investment Grant. Charlotte’s News & Observer noted the nation’s second largest cable company also received $3 million in state incentives. When communities like Salisbury approached providers about improving broadband speeds, they were shown the door. Salisbury and Wilson, among others, elected to build their own networks. The decision to enter the broadband business came under immediate attack from incumbent providers and a range of conservative astroturf and sock puppet political groups often secretly funded by the phone and cable companies. Critics of Fibrant launched an attack website against the venture (it stopped updating in March, 2012), suggesting the fiber venture would bankrupt the city. One brochure even calls Stop the Cap! part of a high-priced consultant cabal of “Judas goats for big fiber” (for the record, Stop the Cap! was not/is not paid a penny to advocate for Fibrant or any other provider). Opponents also characterize Fibrant as communism in action and have distributed editorial cartoons depicting Fibrant service technicians in Soviet military uniforms guarding Salisbury’s broadband gulag. In January of this year, city officials were able to report positive news. Fibrant has begun to turn a profit after generating $2,223,678 in the revenue from July through December, 2013. Fibrant lost $4.1 million during the previous fiscal year. That is an improvement over earlier years when the venture borrowed more than $7 million from the city’s water and sewer capital reserve fund, repaying the loans at 1 percent interest. The city believes the $33 million broadband network will break even this year — just four years after launching. Fibrant is certainly no Time Warner Cable or AT&T, having fewer than 3,000 customers in the Salisbury city limits. But it does have a market share of 21 percent, comparable to what AT&T U-verse has achieved in many of its markets. Fibrant also has the highest average revenue per customer among broadband providers in the city — $129 a month vs. $121 for Time Warner Cable. Customers spend more for the faster speeds Fibrant offers. Some residents wonder if Fibrant will be successful if or when AT&T and Google begin offering fiber service. Both companies have made a splash in Charlotte’s newspapers and television news about their fiber plans, which exist only on paper in the form of press releases. Neither provider has targeted Salisbury for upgrades and nobody can predict whether either will ultimately bring fiber service to the city of Charlotte. Those clamoring for fiber broadband speeds under the state’s anti-community broadband law will have to move to one of a handful of grandfathered communities in North Carolina where forward-thinking leaders actually built the fiber networks private companies are still only talking about. The Republican takeover of the North Carolina legislature in 2010 was great news for some of the state’s largest telecommunications companies, who successfully received almost universal support from those legislators to outlaw community broadband service in North Carolina — the 19th state to throw up impediments to a comfortable corporate broadband duopoly. 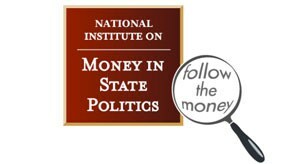 Dialing Up the Dollars — produced by the National Institute on Money in State Politics, found companies including AT&T, Time Warner Cable, CenturyLink, and the state cable lobby collectively spent more than $1.5 million over the past five years on campaign contributions. Most of the money went to legislators willing to enact legislation that would largely prohibit publicly-owned competitive broadband networks from operating in the state. Democrats were mostly opposed to the measure: 45 against, 25 for. Stop the Cap! called out those lawmakers as well, many of whom received substantial industry money in the form of campaign donations. *AT&T’s total includes contributions from BellSouth in 2006 and 2008 and AT&T Mobility LLC. **CenturyLink’s total includes contributions from Embarq Corp. 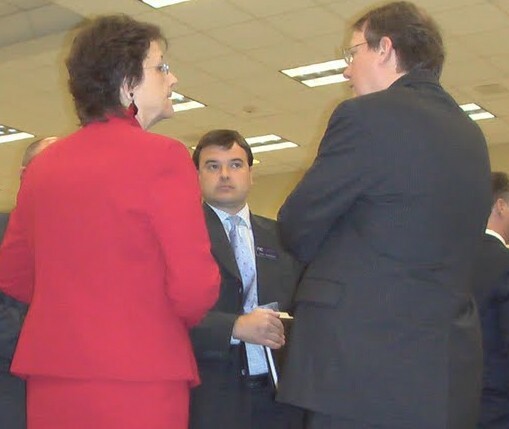 According to Catharine Rice, president of the SouthEast Association of Telecommunications Officers and Advisors, HB 129 received the greatest lobbying support from Time Warner Cable, the state cable lobbying association — the North Carolina Cable and Telecommunications Association (NCCTA), and CenturyLink. 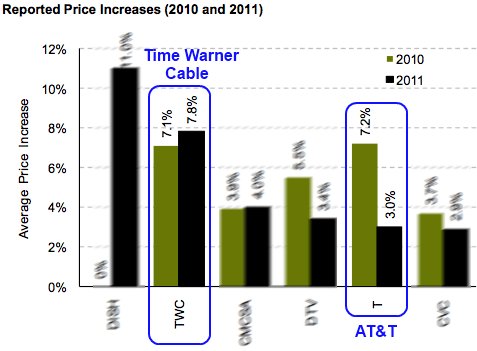 In North Carolina, both Time Warner Cable and AT&T increased prices in 2011. After the bill became law without the signature of Gov. Bev Purdue, Time Warner Cable increased cable rates across North Carolina. CenturyLink’s version of AT&T’s U-verse — Prism — has seen only incremental growth with around 70,000 customers nationwide. The phone company also announced an Internet Overcharging scheme — usage caps — on their broadband customers late last fall. Someone had to pay for the enormous largesse of campaign cash headed into lawmaker pockets. For the state’s largest cable operator — Time Warner Cable — another rate increase handily covered the bill. The four primary sponsors of the bill received a total of $37,750, for an average of $9,438, which is more than double the $3,658 received on average by those who did not sponsor the bill. Even worse for rural North Carolina, little progress has been made by commercial providers to expand broadband in less populated areas of the state. AT&T earlier announced it was largely finished expanding its U-verse network and has stalled DSL deployment as it determines what to do with that part of its business. In fact, the most aggressive broadband expansion has come from existing community providers North Carolina’s lawmakers voted to constrain. Salisbury’s Fibrant has opted for a slower growth strategy to meet the demand for its service and handle the expense associated with installing it. Wilson’s Greenlight fiber to the home network supplies 100/100Mbps speeds to those who want it today. In Upside-Down World at the state capitol in Raleigh, community-owned providers are the problem, not today’s duopoly of phone and cable companies that deliver overpriced, comparatively slow broadband while ignoring rural areas of the state. 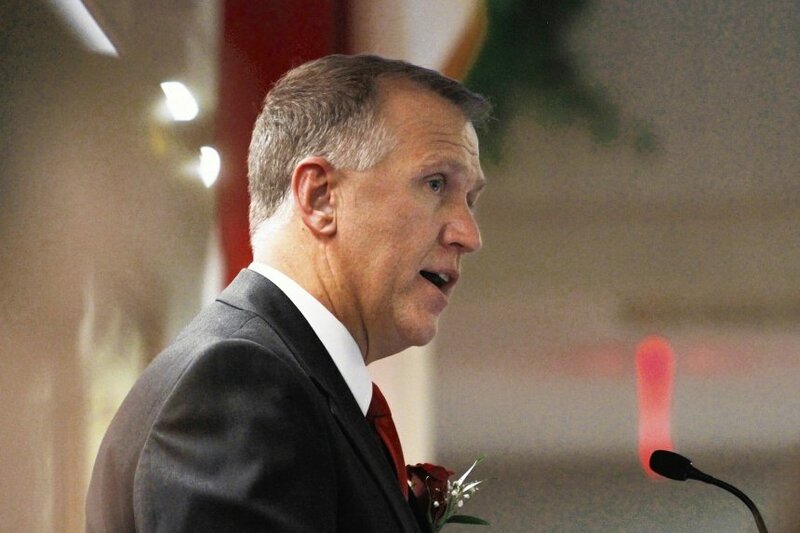 Tillis collected $37,000 from Big Telecom for his last election, in which he ran unopposed. Tillis was in a position to make sure the telecom industry's agenda was moved through the new Republican-controlled legislature. Thom Tillis, who became speaker of the house in 2011, received $37,000 in 2010–2011 (despite running unopposed in 2010), which is more than any other lawmaker and significantly more than the $4,250 he received 2006–2008 combined. AT&T, Time Warner Cable, and Verizon each gave Tillis $1,000 in early-mid January, just before he was sworn in as speaker on January 26. Tillis voted for the bill, and was in a key position to ensure it moved along the legislative pipeline. Senate President Pro Tempore Phil Berger received $19,500, also a bump from the $13,500 he received in 2008 and the $15,250 in 2006. He voted for the bill. Senate Majority Leader Harry Brown received $9,000, significantly more than the $2,750 he received in 2006 and 2008 combined. Brown voted in favor of the bill. Democratic Leader Martin Nesbitt, who voted for the bill, received $8,250 from telecommunication donors; Nesbitt had received no contributions from telecommunication donors in earlier elections. The law is now firmly in place, leaving North Carolina wondering where things go from here. AT&T earlier announced it had no solutions for the rural broadband challenge, and now it and other phone and cable companies have made certain communities across North Carolina don’t get to implement their solutions either. If you live in North Carolina, check to see how your elected officials voted on this measure, and how much they collected from the corporate interests who supported their campaigns. Then contact them and let them know how disappointed you are they voted against competition, against lower rates, against better broadband, and with out of state cable and phone companies responsible for this bill and the status quo it delivers. Don’t support lawmakers that don’t support your interests. If you live outside of North Carolina and we alert you to a similar measure being introduced in your state, get involved. It is much easier to keep these corporate welfare bills from becoming law than it is to repeal them once enacted. If you enjoy paying higher prices for reduced service and slow speeds, don’t get involved in the fight. If you want something better and don’t appreciate big corporations writing laws in this country, tell your lawmakers to vote against these measures or else you will take your vote elsewhere. Support community broadband. If you are lucky enough to be served by a publicly-owned broadband provider that delivers good service, give them your business. Yes, it may cost a few dollars more when incumbent companies are willing to slash rates to drive these locally owned providers out of business, but you will almost always receive a technically superior connection from fiber-based providers and the money earned stays right in your community. Plus, unlike companies like CenturyLink, they won’t slap usage caps on your broadband service. Fibrant, a community-owned fiber-to-the-home provider in Salisbury, N.C., has discovered the importance of redundancy. A major service outage knocked out phone and broadband service for several hours Monday, due to a fiber cut between Concord and Salisbury. Fibrant’s provider, DukeNet, restored service after four and half hours by rerouting around the cable cut, but the incident left Fibrant looking for a backup provider to reduce the chance such a service outage will occur again. City Manager Doug Paris, who was instrumental in getting Fibrant up and running in Salisbury, said the incident underlined the need to have redundancy to keep customers online. While the city asks DukeNet for an explanation of the most recent service outage, Salisbury is taking bids for backup service. Redundancy is a lesson virtually every service provider learns — commercial or otherwise. What company has not suffered a significant service outage from an errant backhoe or construction crew severing a vital fiber link? Without a backup provider, service fails and customers howl. Those companies experiencing multiple outages soon learn having a second provider can keep service disruptions to a minimum and more importantly make them invisible to customers. Salisbury is located northeast of the city of Charlotte, N.C.
Paris told the Salisbury Post the city’s intent to contract with a second supplier has its benefits. A large educational institution has now signed up for service, with several potential new business customers considering Fibrant as well. Fibrant has won a 13% market share in Salisbury, supplying phone, Internet, and cable TV to more than 1,700 customers. Fibrant offers the fastest broadband service in the city and competes primarily with Time Warner Cable. It also faces perennial opposition from anti “government broadband” critics, many nipping at the provider for political reasons. Opponent John Bare has compared Fibrant to welfare, opposing it because it is not operated by the private sector. But Fibrant has kept its competitors on their toes, forcing both the local cable and phone company to offer cut-rate deals for new customers and those threatening to switch. Those low prices and retention deals have cut into Fibrant’s projected share of business in the community, but city officials note the customers who do sign up stay with the provider. Fibrant has a 99% customer retention rate. Fibrant’s biggest challenge remains its start up costs and debt. The provider spends nearly $1,350 for each residential installation, for which it charges customers nothing unless they depart within a year of signing up. Fibrant recoups installation and network construction costs from customers over time. But the company does have plans to more aggressively market its service to Salisbury’s 34,000 residents in light of competitive offers from cable and phone companies. Fibrant manages to win around 30 new customers a week. Salisbury’s fiber network does not pitch customers “teaser rates” that rise considerably after the promotion expires. It prefers to market its superior speeds and service, and notes all of the revenue earned by Fibrant stays in the local community instead of being pocketed by Wall Street banks and investors.